You don’t have to go north to Ontario or the Upper Peninsula to enjoy a wilderness-like paddling experience on 2 awesome rivers.  In less than an hour’s drive from Cadillac, you can find stretches of the Pine and Big Manistee Rivers as well as the Tippy and Hodenpyl backwater impoundments where you can spend hours in a canoe or kayak and never see a man-made dwelling. Because sections of these waters are included in the Natural Rivers Program as well as large tracts being managed by Consumers Power, this guarantees that these shorelines will remain undeveloped. 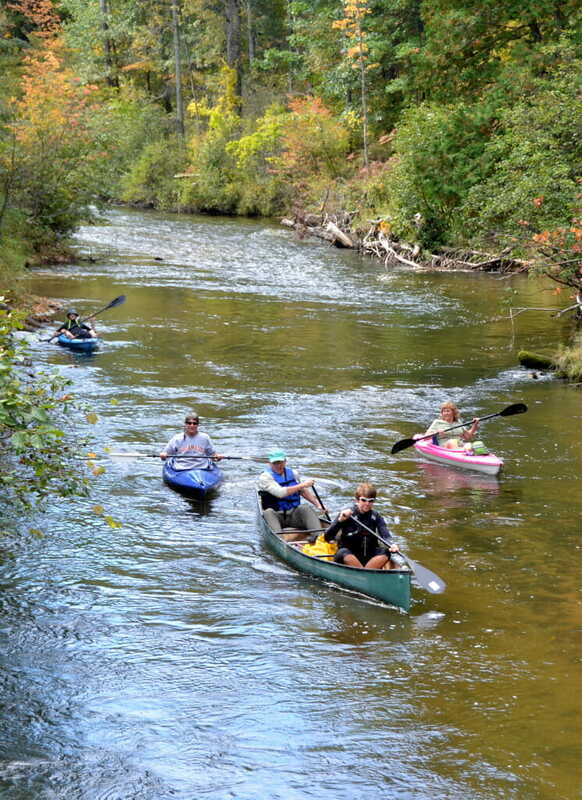 For the rivers it doesn’t much matter whether you’re paddling a canoe or a shorter kayak-local canoe liveries have cleared away debris so you can be fairly certain that you can make the trip without a portage. Access can be found at numerous locations (maintained by the US Forest Service or the DNR) which provide parking, picnic tables, and outhouses at the landing sites. 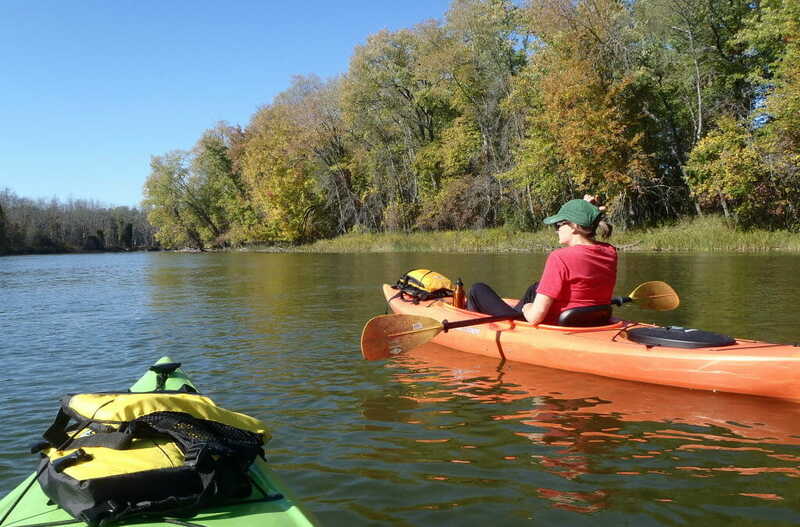 Of the two major rivers the Manistee has a gentler flow, though there is the occasional sweeper or rocky fast section, most novice paddlers will be able to handle it. Recreational paddlers, who prefer quicker water, should start below the point the current slows, but the land continues to be unsettled. Starting at Lucas Road, for the nearly sixty miles of river frontage to the village of Mesick, cottages are rarely seen. It is just miles of unbroken forest with the high banks below Baxter Bridge and along the upper reaches of the river offering a spectacular backdrop especially when tinged with autumn-colored foliage. Those looking to camp have the Old Grade Campground near US 131 and the Baxter Bridge Campground. On warm summer days you’ll share the river with happy downstream travelers on tubes or rafts. Just past Mesick, the river widens as it begins to form Hodenpyl Reservoir. Hodenpyl and Tippy Dam create large backwaters reservoirs, however, sandwiched between the dams lies a fast running section of the river that is popular with local paddlers. Launch below Hodenpyl Dam, put your paddle in the water, and enjoy the ride until you pull in at Red Bridge several hours later. Below Red Bridge lies the backwaters of Tippy Dam. Despite its vast size, the many islands and narrow channels that make up this archipelago will feel like a secluded paddle for any water-sport adventurer. Overnight camping is available for those who procure a campsite registration from the U.S. Forest Service. The Tippy Dam Backwater is also the endpoint for the Pine River. Upstream this river moves with authority as it possesses one of the fastest average flows of any Lower Peninsula river. In the 1970s more than 2000 canoes a week were on the river. To keep the river from being loved to death, the U.S. Forest Service instituted a permit system for using the river from May 15 to September 10. Permits from the Forest Service can be obtained online, or see a local livery for rentals. Travelers on the river will see few cottages as the Pine has been designated part of the Natural Rivers Program, meaning that all development must be at least a quarter mile from the river. Though the river will be a test for the beginning paddler throughout its length, the challenge increases in the sections above and below Peterson Bridge where there are some light rapids. For those looking for overnight stays, three campgrounds – Silver Creek, Lincoln Bridge, and Peterson Bridge – are available. And if you have time to slow it down and do some fishing, this is prime water for trout.